The most common is a composite filling, this is a natural tooth colored filling and bonds to the tooth for extra strength. 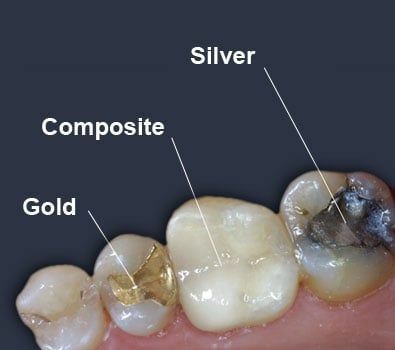 There are also gold and silver fillings. Silver fillings are inexpensive and strong while gold fillings may look nicer and provide a better fit. The final option is a porcelain filling, also called an inlay, which is the most durable of fillings and is also the color of your natural teeth. Ask Dr. Mireles, a cosmetic and restorative dentist in Salinas, which filling would be best for you.